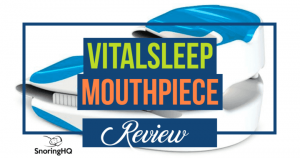 SnoreLax Review - Does this Snoring Chin Strap Work? Snoring is not only a quality-of-life issue but also a health issue as studies indicate that snoring can be indicative of obstructive sleep apnea. Snoring also causes 1 in 4 couples to sleep apart. Many over-the-counter products claim to reduce snoring: straps, strips, mouthguards, sprays. For the past several years, I’ve personally tested over thirty of these products and shared my reviews here at SnoringHQ. I recently had the chance to try a new strip called SnoreLax, which is an updated version of the classic jaw strap for snoring. You can check out the reviews for other snoring aids here. SnoreLax is an easy-to-use non-invasive solution. It works similar to other nightly applicators such as Theravent anti-snore strips. It is disposable. It resembles a jaw strap because of the way it supports the jaw to keep airways open. Opening these passages allows air to flow freely so as not to vibrate soft structures inside the throat. SnoreLax comes in pre-cut labeled pieces of stretchy material. Each self-adhesive device is affixed to one side of your jaw. No rubber and no latex are used in manufacturing this device. Directions to use Snorelax are printed on each pre-cut appliance. Following them is pretty simple: align the top decal to your cheek; stretch the piece to your desired strength as indicated by white indicator lines on the material, then affix to the bottom of your jaw. Do this on each side of your face. I place my Snorelax so it is supportive but not tight. Your fit may be different. And don’t forget it could take a few nights to learn which fit is most comfortable for you. 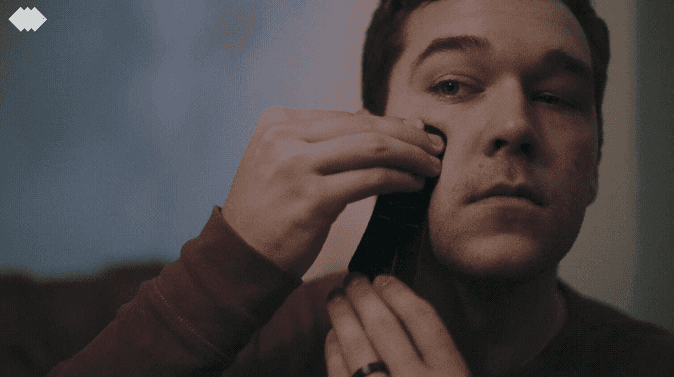 I put these on about thirty minutes before bed, and like I mentioned, had no trouble applying them to my face. The first night I used this product I ran my SnoreLab app for almost 6 hours. SnoreLab is an Android and iOS app that records and tracks your snoring. It compares your snoring over a period of nights and gives you a nightly snore score. That first night, my score decreased about 5% as compared to my normal snoring with no appliances. My recent normal score is around 21%. Using SnoreLax, that result decreased to 16% on the first night. The following two nights SnoreLab rated my snoring about the same as that first night. Snoring was slightly reduced, but not much. That’s not to say these don’t work; jaw straps often work well for certain people. And there was still an overall decrease of 5%. SnoreLab tracks the volume of your snoring. With SnoreLax none of mine registered as “loud,” so that’s a plus. Products such as these, in general, show more drastic changes with loud snorers. Snorelax advertises that their product becomes more effective with continued use. I’d be interested in revisiting this product over a longer period of time since I was only able to test them for three nights. This would really show how my rating changes; if it goes down or stays the same over several nights. I only had trouble with one aspect of the SnoreLax, but it too could be traced back to getting better use by wearing them for several nights. The problem I found was that it was painful after removing the strips for several minutes. I suspect this sensation is caused by my skin being pulled taut overnight; after all, the face is a sensitive part of the body. I’m not counting this irritation as a mark against SnoreLax though because most appliances like these take some time to get used to. I was initially skeptical about trying SnoreLax. However, the strips are comfortable, and it works as expected. SnoreLax may do an adequate job of reducing snoring if it works for you. SnoreLax is a good product to try if you don’t like, or can’t use, mouthguards and tongue retaining devices (TRD); or if you’re looking for a more comfortable jaw strap. SnoreLax is now on Kickstarter. Watch Kickstarter for this launch and get a discount on your pre-order. SnoreLax is more comfortable and less bulky than other jaw straps. They’re lightweight and unobtrusive during the night. It’s easy to obtain a proper fit because each device is labeled and pre-cut. They’re ergonomically shaped to fit on your jaw. Indicator symbols are printed right on each appliance. SnoreLax appliances are easy to store and transport. They don’t require a hard-plastic case or special container. SnoreLax may be unsuitable for those with sensitive skin. Each appliance does have an adhesive that may react with sensitive skin. SnoreLax is a one-time use product available in 60 or 90-day supplies. These types of products can sometimes wind up costing more over time than long-term appliances such as a mandibular advancement device.